Subject Breaks Door In With Baseball Bat and Machete; Batters Occupant; Arrested. ARRESTED: Lorenzo Alberto Bustamante, W/M, DOB: 10-02-1990, of 1105 El Dorado Blvd. N., Cape Coral. CHARGES: Aggravated Assault w/ Intent to Commit a Felony (x2), Armed Burglary, Battery, and Culpable Negligence. 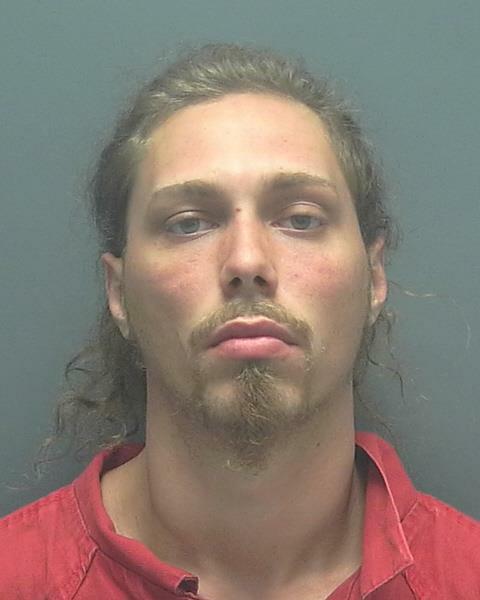 (August 18, 2014)- Cape Coral Police made an arrest yesterday of a subject involved in an unusual and dangerous altercation Friday afternoon. On Friday at around 1:15 PM, Cape Coral Police responded to 2139 SE 19 Pl. on an armed disturbance call. Investigation revealed that an argument occurred between tenants who were subletting rooms in this residence and Lorenzo Bustamante, who was visiting another tenant. During the altercation, Bustamante shoved one of the tenants into their bedroom, then armed himself with an aluminum baseball bat. The first victim closed and blocked the door in an attempt to keep Bustamante out of the room . Bustamante bashed the door repeatedly with the bat, striking the first victim in the process. Fearing that Bustamante was going to gain entry, the first victim armed himself with a folding knife. Bustamante, seeing this through the hole in the door, the armed himself with a machete and began hacking at the door. Meanwhile, the second victim who was in fear for her safety, called 9-11. The first victim attempted to grab the machete when it came through the door, resulting in a laceration on his hand. As Bustamante finally forced his way into the room, both victims retreated to a far corner. Bustamante was, according to the victims, still armed with the machete and was holding a "handy-cam" in the other, recording them. Bustamante saw that one of the victims was on the phone with 9-11 and fled the scene prior to police arrival. The scene was processed with evidence and sworn statements collected. Yesterday at around 11:20 PM, Cape Coral Police located Bustamante at 4124 NW 27 Terrace, Cape Coral. He was taken into custody, based on the probable cause developed from the call on Friday, without incident.